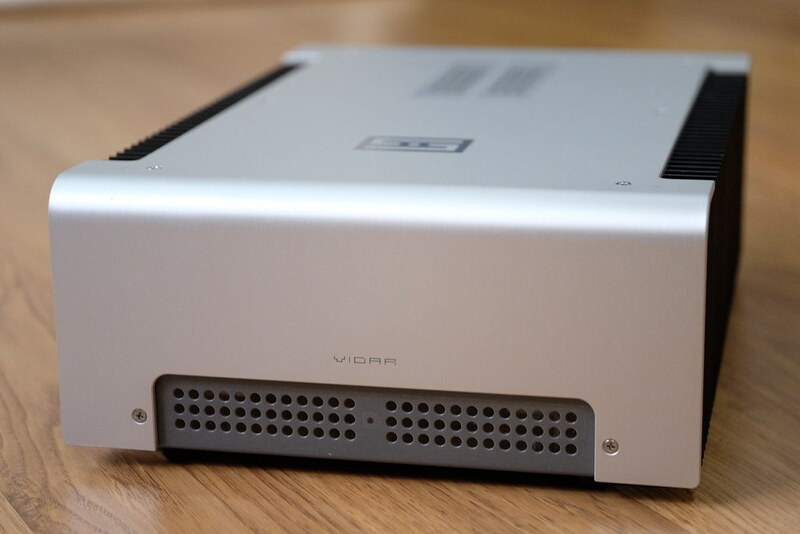 When I wrote my Schiit Vidar review, I didn’t expect Schiit to be this stoopeed. As it turns out, they have plenty of issues. I think it is best to avoid buying any Schiit amps at this point. Jason needs to take a very careful look at his designs. No wonder my class D amp is running circles over class AB Schiit Vidar. I don’t think we have seen him doing the same for Jotunheim grounding issues, he should have at least notified by email to every single customer for a safety recall. So much for a guy who warned himself not to go bust like Great American Sound by having too much service loads. I really do not believe Schiit has the engineering chop to make something superbly designed and assembled, like Benchmark or RME. The key is to do it right the first time and be reactive to customers complaints. 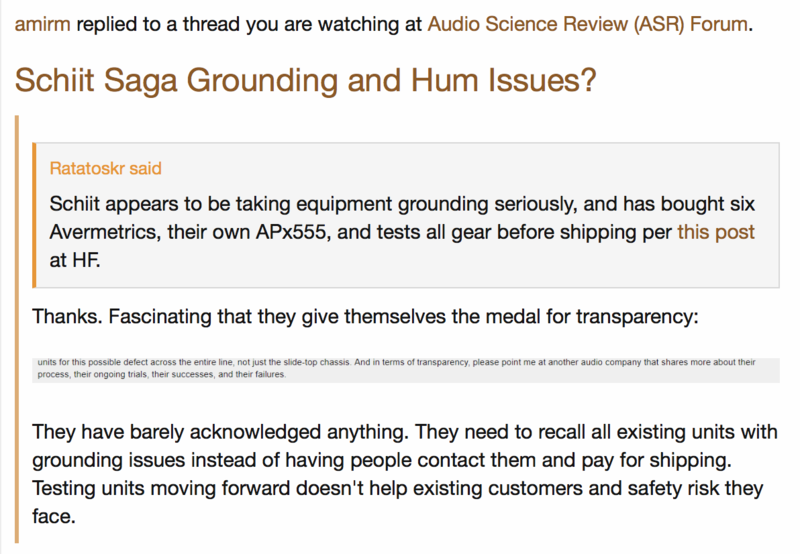 So far, to my eyes, Schiit only acts when a guy who operates a website on real audio measurements exposes Schiit’s flaws and defects! Recently, Jason went on, writing about how Schiit have been very transparent about their failures and improvements. Well, they didn’t want to admit anything at first, until the issues were posted everywhere. Go figure… Make your own conclusions. Edit: Looks like Amir of ASR has the same impressions as me. This is the power amp I’ve been waiting for. I’ve pretty much disregard Schiit Ragnarok. Sure it’s an integrated amp, but there is no remote and the power output is only 60 watts. Really? Vidar might be a real giant killer. Does it live up to my expectations? We’ll find out below. As usual, here is my current setup of my listening room. This isn’t really my listening room, but my bedroom. Thick concrete floor finished with wood parquet. There are med-hard foam under the parquet. The ceiling is calcium silicate boards with rubber sheets cut in small pieces placed in between the suspension mounts, mainly to dampen excessive vibrations from tiny movements of the roof; these are not purposely built for audio, but to extend the life of the ceiling. Under the roof, there are hard foams here and there, acting as sound deadening. The roofing material is glazed ceramic. Walls are bricks covered with dense plaster. There are acoustic panels placed here and there. The window frames are YKK aluminum, rubber sealed (multiple). Just like suspensions for the ceiling, all window mountings use rubber O rings to dampen potential vibration. Basically, everything is built to last and to dampen vibration. Wall outlets for audio are individually grounded. I use an isolation transformer before my power strip, PS Audio Quintet. 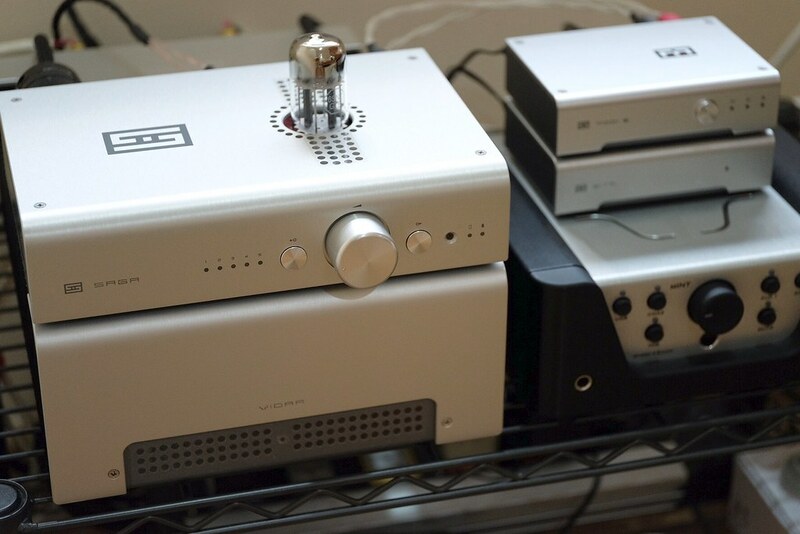 Quintet has different zones for DAC, preamp and power amp. Mac Mini is powered thru an APC UPS. Most of the time, I use iTunes + BitPerfect. I find no noticeable difference compared to Audirvana Plus. iTunes is huge win for convenience. Schiit Eitr, Modi Multibit, and W4S mINT are plugged onto PS Audio Quintet on the same zone. The DAC zone. I use mainly Blue Jeans Cable RCA when possible. By possible, I mean if the cables are exposed, I prefer to use better looking cables that I made myself. The materials are mainly silver-plated copper, silver soldered and terminated with silver plated RCA plugs. Basically the stuff ALO Audio is using, sourced direct from the manufacturer in Taiwan. For digital cables, I use exclusively Blue Jeans Cable 1505F coax cable and Sys Concept high transmissivity optical cable. Keep in mind that I’m not a cable believer, I believe, the shorter the cable, the better. I use boutique cables for their looks. And I’m just too lazy to sell them off. Selah Audio Tempesta. A transparent pair of speakers. Enjoyable too. Mounted on Sanus speaker stands with IsoAcoustics Gaia isolation feet. I really think Schiit is stepping up the game. Vidar is noticeably better built compared to other Schiit products I own. The aluminum top is nicely grained. 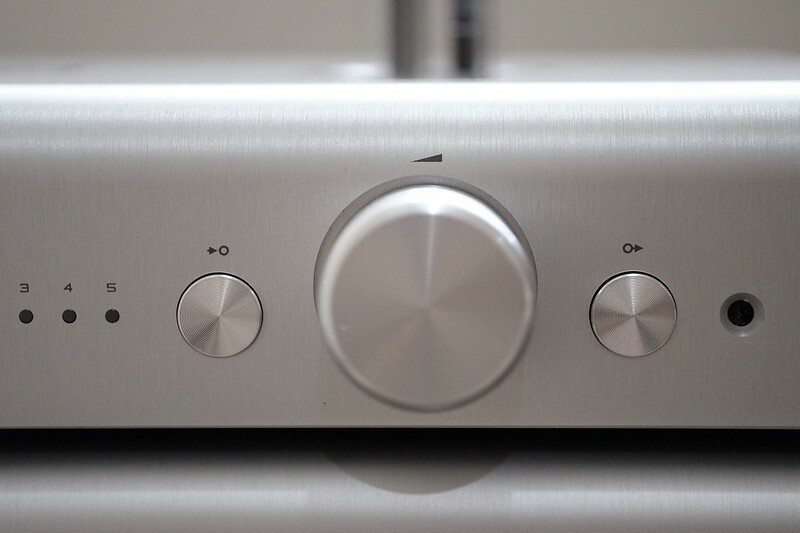 There is no gouge like I can find on other Schiit products. It’s almost perfect. 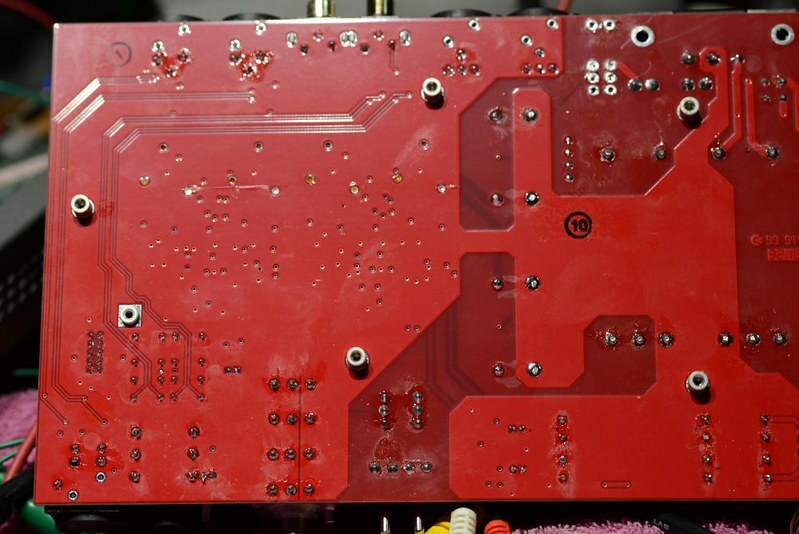 Looking at the top part of the PCB, the surface mount parts used are neatly placed. Hopefully, I won’t find poor soldering job under it. The binding posts are high quality as are the input jacks. I still prefer chassis-mount RCA jacks. I welcome the use of a proper power switch. I dislike ancient switches. Power switch is unfortunately still inconveniently located at the back, thankfully, there is work around. I can control the power on and off from my PS Audio Quintet power strip. The edges are nicely chamfered. I must say, Vidar looks absolutely beautiful. Even better in person. 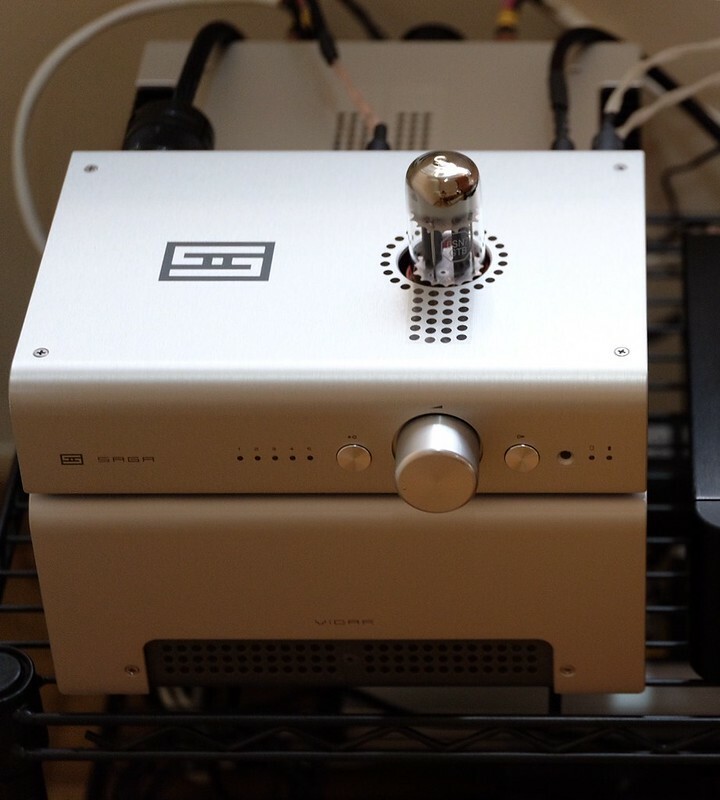 Schiit styling in general is modern, clean, and good looking. 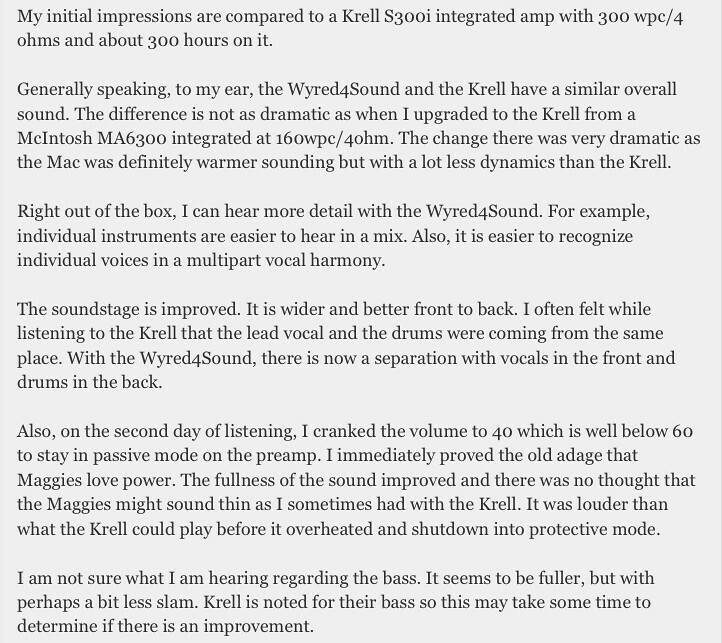 You can’t say the same thing if you have seen Krell’s in person or even my beloved ModWright KWA 100. The chassis is a very clever mix of cost saving and looks. 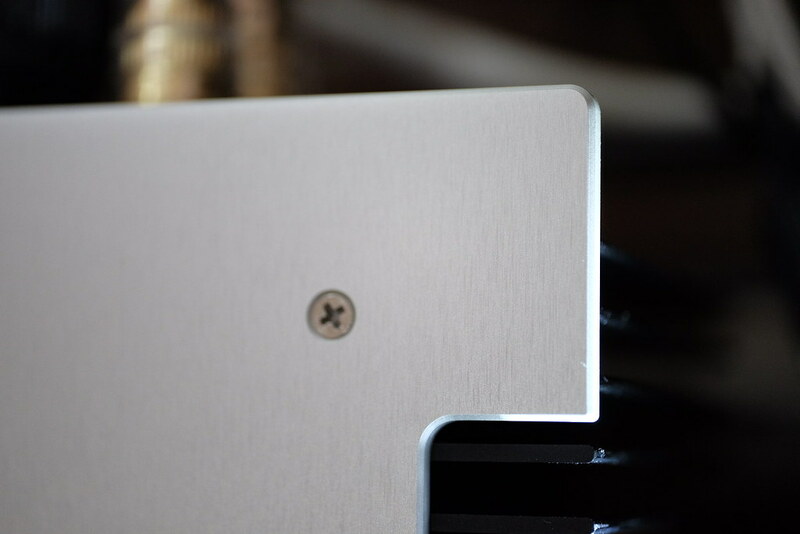 Basically the powder-coated steel part acts as a base for PCB, transformer, and input/output jacks; the heatsinks act as part of the structures; and the L shaped nicely grained aluminum top finishes off the structure. If there is one thing I would like to request for a change, it’s the sharp edges on the heatsinks. First of all, you must be wondering why I am using a puny Schiit Modi Multibit + Schiit Eitr. I couldn’t bring myself to buy a Schiit Gungnir. I was considering to acquire Gungnir years ago. But as I said before, I put a large chunk my budget on speakers and room treatments. Then an amp. Then a DAC. I will probably come around and purchase Schiit Bifrost Multibit, mostly for its upgradability. I did run Vidar for two whole days, it’s not hot, it’s warm. So for those who are worried, the big-honking heatsinks will burn your audio cabinet, it won’t. By using mostly Schiit products, I expect they have immaculate pairing. 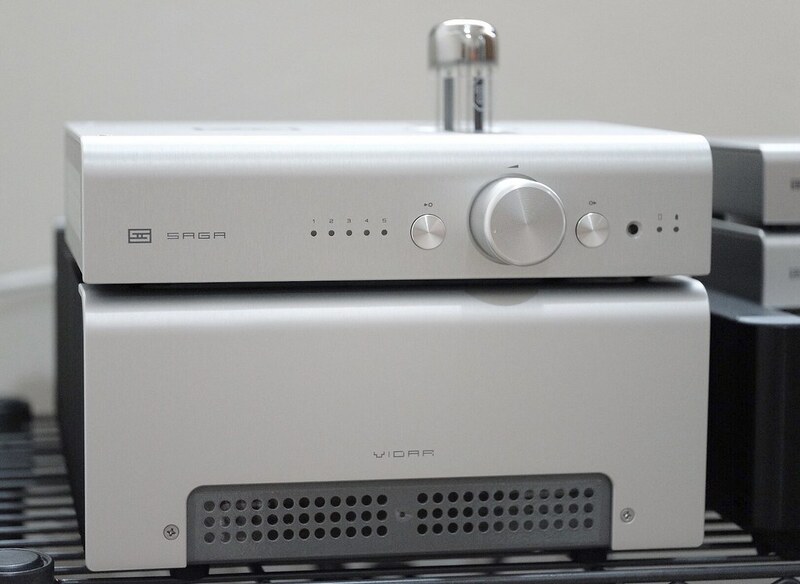 In my Schiit Saga review, I wrote that Vidar is a letdown. My tiny Wyred 4 Sound mINT is surprisingly and amazingly superior. Yes, my mINT has seen more mileage but I don’t believe in burn-in and I’m not the kind of person who is leaving my gears on all the time. 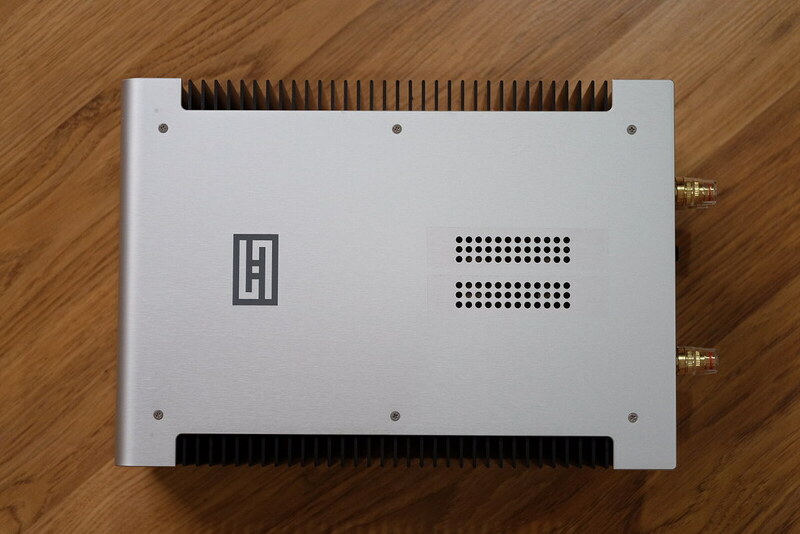 This Class D amp trounces Vidar fair and square. I don’t even use mINT’s onboard DAC, I’m using Modi Multibit and even running Saga driving mINT as a power amp. My Wyred 4 Sound mINT amp section sounds better than my Vidar driving 84db sensitivity speakers. They are making noise that they dislike a Class D amp, well here it is, a jack of all trades integrated amp, running circles at Vidar. Vidar feels slower, clunkier, and not very agile. I’d say that this W4S integrated amp is like a light but fast European/Japanese sport cars. It does not have a huge amount of torque but when it accelerates, it feels like a dream. Its’ handling is also very good, going thru different passages are a breeze. W4S mINT produces better bass. Details? Again, mINT is better. Vidar is probably warmer. mINT is quite neutral. The thing about being neutral is that you can get away with mix and match. A lot of people are doing mix and match for the audio gears, to get better gear matching. I do not want to do that. It’s a hassle. I want a neutral sounding gear because you can play whatever music you can and all of them will sound good. The real differentiator is instruments separations. With Vidar, I feel like I cannot pick which is which. mINT has no problem at all at this. So, there you go, my preference is clear. Not one, but two similar impressions. Yes, it’s its’ bigger brother. But hey, what are the chances of it being exactly the same other than the power output. One thing that I realise from downgrading to mINT from STI-500 is that I sacrifice nothing in sound quality. I thought the weak point is the absolutely garbage Modi Multibit (this is by far the worst sounding DAC that I have auditioned, sounds like a mid-fi). So, I swapped to RME ADI-2 DAC. Vidar still sounds meh, though better than when paired with Modi Multibit. The other differentiator that is also very very noticeable is instruments sound reproduction, Vidar fails in a big way. My wife plays piano and guitar. 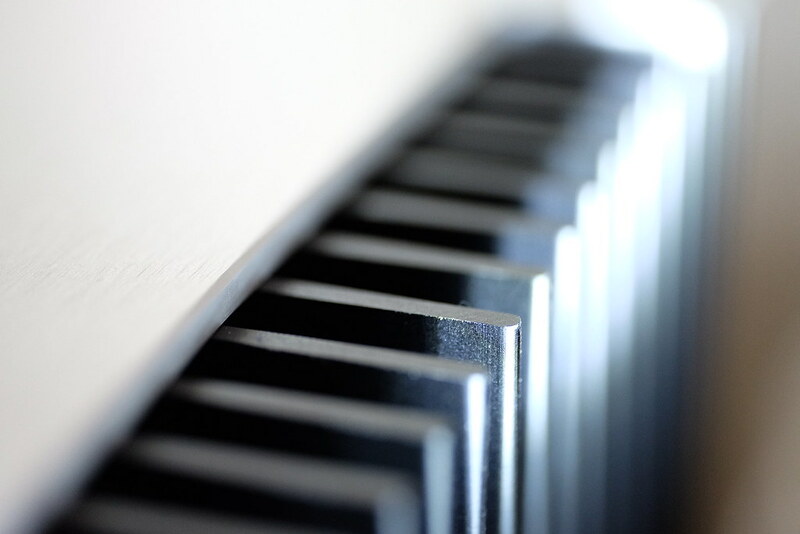 She plays piano almost everyday at home, I know what a good piano sounds like. Vidar fails reproduce the sound of a real piano. I like the talk Paul McGowan gave during his PS Audio BHK Signature amp intro on YouTube. He is striving to reproduce real instruments sound. 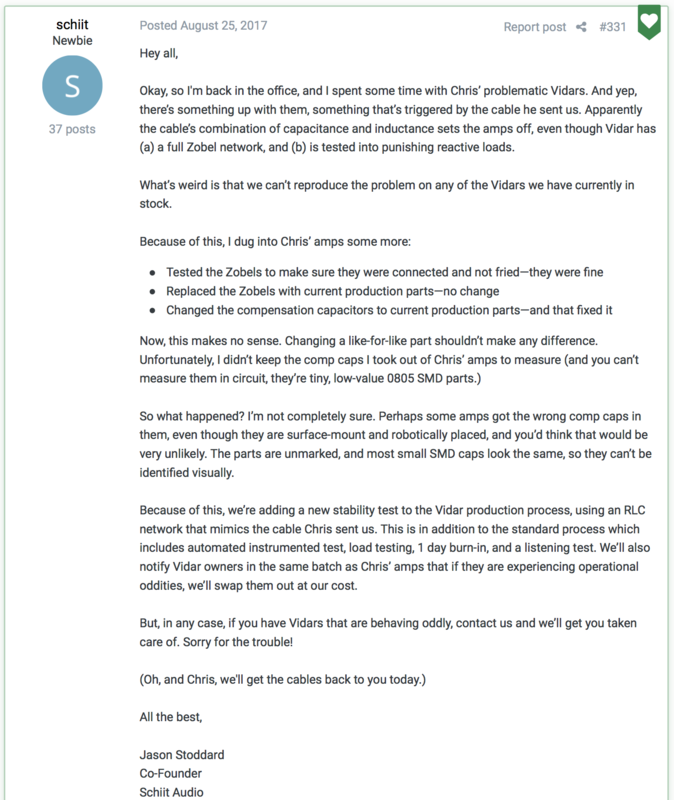 What is it that Schiit is trying to do here with Vidar? As Dr. Gilmore wrote about Jotunheim, sounded like sh*t then, sounds like Schiit now. Keep in mind, most people will probably be happy with Vidar. Schiit has a cult following. It’s just I have mINT + very good speakers in my possession. And It’s not like I can get rid of Vidar easily. I was looking at one of McIntosh cheaper integrated amps. I love integrated amps. No cable clutters. Now that I own a complete set of Schiit 2-channel speaker set-up, I may regret the decision not to go for an integrated amp. I think Schiit is very good at marketing. They are competent production managers but you can find a good production manager if you look seriously. How come their price are so cheap? Have you ever looked at their products solder joints, how they put together most of their products, and their smaller units build quality? Do it. I have, some have and they are not impressed. I’m not a fan of Jason’s creations. His amps can be hit and miss. His Jotunheim sounds mediocre (try A/B vs. Gilmore Lite, if this surprises you, if you have the chance at a local meet, try comparing Ragnarok vs. Gilmore Lite!). His Valhalla 2 sounds decent but not great with a high impedance headphone. But I did love my Lyr 1. I really don’t know what they are after really. Are they trying to reach a certain price point and that’s it? You know, one other thing that I find interesting. On YouTube and 6moons, there are factory tours of amp makers. Of all of them, only PS Audio, McIntosh, and ModWright put a great care to their listening rooms. The rest of the packs, they simply settle with bare-bone listening rooms. This tells you why some sound great and others don’t. I wondered when Schiit would be making a preamp for speakers, it should have a remote. They went further. My favorite preamps are Wyred 4 Sound STP-SE and Audio-gd P-2. I love passive preamps. All they do is controlling the volume. I could have lived with the STP-SE but as I wrote previously, I don’t need balanced outputs and I prefer something with a smaller footprint. The P-2 should fill my needs but it’s *ugly. I ended up with a Swiss-army knife integrated amp, a W4S mINT. The ceiling is calcium silicate boards with rubber sheets cut in small pieces covering the suspension mounts, mainly to dampen excessive vibrations from tiny movements of the roof; these are not purposely built for audio, but to extend the life of the ceiling. PS Audio Quintet connected to a wall outlet for audio that is individually grounded and isolated. 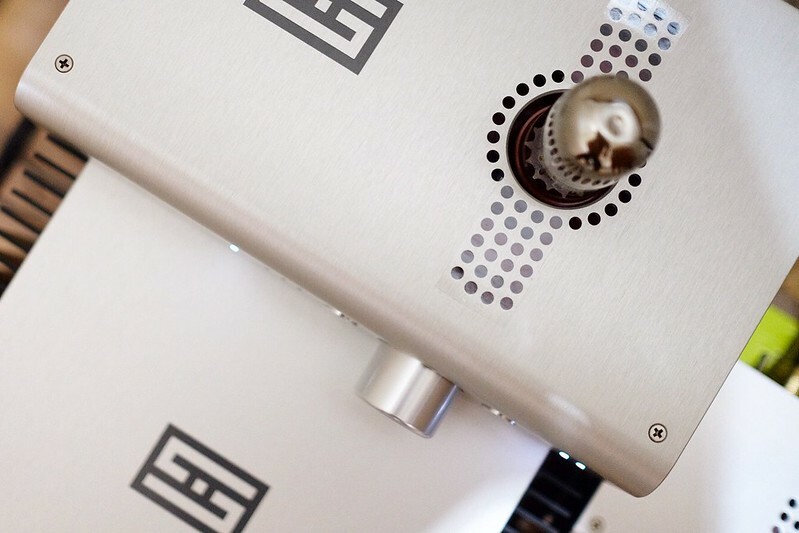 The Quintet has different zones for DAC, preamp and power amp. The Mac Mini is powered thru an APC UPS. Most of the time, I use iTunes + BitPerfect. I find no noticeable difference compared to Audirvana Plus. iTunes is huge win for convenience. The Schiit Eitr and Modi Multibit are plugged onto PS Audio Quintet on the same zone. The DAC zone. I use mainly Blue Jeans Cable RCA when out of sight. By out of sight, I mean if the cables are exposed, I prefer to use better looking cables that I made myself. The materials are mainly silver-plated copper, silver soldered and terminated with silver plated RCA plugs. Basically the stuff ALO Audio is using, sourced direct from the manufacturer in Taiwan. The power cables are Zu’s, I can’t remember the model name. The Saga features relay-stepped attenuator. I am a huge fan of relay-stepped attenuator, also found in the STP-SE. Once you use this kind of volume control, you won’t go back to ancient pots. 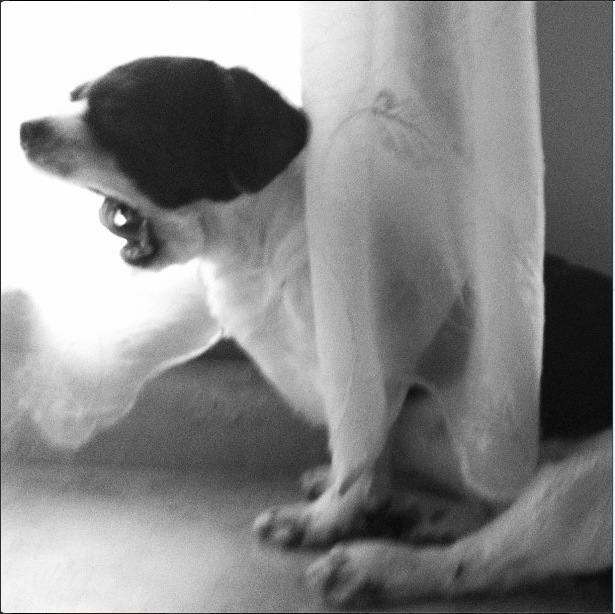 For those who like low-level listening, this is it. Say goodbye to channel imbalance. Tube buffer? I love tubes, who doesn’t? Vs. passive mode, tube buffer offers a little bloom. I feel passive mode bass extension is more precise, you can may notice the difference. Depending on the music I am listening to, vocals sound best with tube. Saga is dead quiet on both modes, as expected. I have various NOS tubes, it’s fun to find out how each one performs. And I guess this is the main selling point. I don’t believe there is anything like Saga in the market. I don’t like to talk about price but in this case, I want to. Most of the time, you don’t get what you pay for in audio world. So comparing how an audio gear performs based on price is completely irrelevant. Yes, there are expensive high performing gears out there, but there are also cheap high performing gears that perform just as good if not better than expensive high performing gears. If I read one reviewer who says, “oh yeah, this USD 350 is off course performing just like how it’s priced, this USD 3000 gear is off course a better product.” I’d just close the page. Even if the USD 3000 gear is well engineered, you need to calculate how much this expensive product maker wants to make in the first place. Things are moving at a much slower pace, they don’t have the numbers. Add to that the incredible efficiency that Schiit practice. Then there is the dealer cut. I’ve gone thru this path, very rarely that I found an expensive gear that performs cut and above superior to the cheaper counterparts. Regardless of price, the Saga is a high performance preamp. How does the Saga pair with Modi Multibit and Vidar? Honestly, I feel like the Vidar is a bit of a letdown. It’s a fairly decent power amp, no doubt. Wyred 4 Sound mINT as a power amp is my preferred pairing. I will eventually write a Vidar review. Stay tuned. Paired with the mINT, I can literally point out which DAC used at the time. It’s completely transparent. Paired with ModWright KWA 100, the Saga is also very transparent. A transparent preamp will expose flaws in the chain. Modi Multibit is a warm DAC. Saga does not add anything to the signal path. Very transparent indeed. For those who prefers colored preamps, this is not for you. It’s fun to see how each DAC performs. The first thing I notice is the aluminum top. It is nicely grained with the right amount of thickness. The corners are chamfered and finished without any noticeable gouge. It’s a looker. Saga looks very handsome from a distance but when you look at it closely, The chassis has misalignments here and there. Not as bad as their smaller chassis but they can do better at no cost. It’s a non-issue for most. I hope I won’t see these poor soldering job if I ever open it. Let’s be fair, not everyone build their product as neat as Justin Wilson of Headamp. 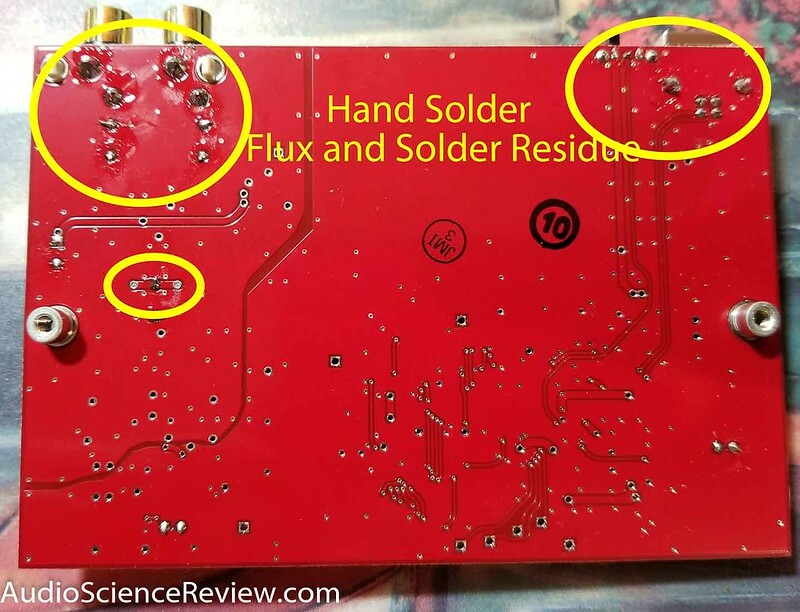 But bad soldering job is just sloppy and it looks like you want to make a cost cutting measure somewhere. I view buying an audio gear as a long term investment, an investment that hopefully last for decades. I don’t leave my gears active all the time like many do. So I expect what I purchase will last for a while. If there is one thing I would complaint about, it is the poorly chosen IR remote. The remote is awful; ugly looking and most uncomfortable remote to hold onto. Not to mention, its’ longevity. I know many people like to frequently change gears but I don’t do that. Once I’m settled, I won’t care what comes out this year or the next. If I want to add another set-up, then I may set out seeking new gears. Besides, unplugging, plugging and moving heavy audio gears are not fun at all. After all, the goal is to enjoy the music, not comparing equipments. This superb tube preamp gets my highest recommendation, whether you want solid state or tube, this will fit your needs. Passive preamp lovers? Checked! 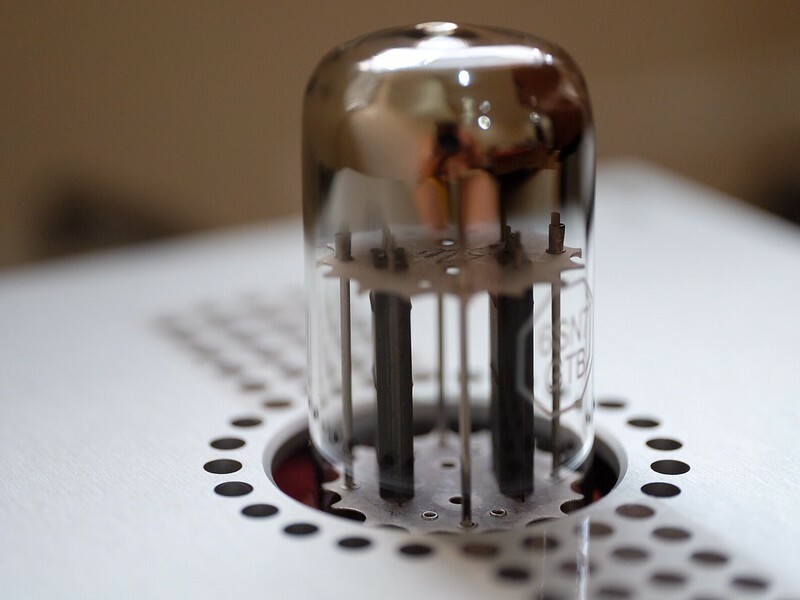 For the solid state guys, you may like the Saga as the tube buffer sounds like a superb solid state preamp. Sure, the tube buffer adds a bit of colors, you may end up liking it as much as I do. Wine bug bit me. I was introduced to this fermented grape juice when I was travelling across Europe 15 years ago. I lost contact to wine after a period of time until just a few years ago. There is a lot to talk about. Wine like audio can be very delicate, complex, and expensive. I need to know what to buy, which wineries are actually producing great wines. It is easier to find bad wines than good wines. I do my best not to buy name brands, because most of the time, the money is mostly spent on buying the brand. My choices are very limited to small set of wineries, family-owned wineries, wineries that practice organic-biodynamic viticulture or at least going that way but do not want / do not have the resources to get certified, smaller wineries I’d say. There are also things that I need to avoid, such as: traditional corks and fake bottles. Corks are what we usually find in most wine bottles, even the affordable ones. I like cork for its classic way of pulling it out. I like screwcap the least but it turns out, screwcap is the more reliable closure than a traditional cork. The best way to sum it up is the answer Stephen Henschke gave to Levi Dalton on I’ll drink to that Podcast. A reviewer tasted his wine, a blended wine, the reviewer was able to point out the grapes used in the wine. The wine used a screwcap. The other bottle used a traditional cork, all the reviewer could taste was red wine. I’m aware most old world wine wineries and drinkers tend to disregard screwcap wines as being cheap. But what is important is the content, not the seal. I don’t want to find out that my wines are tainted or premox-ed when I open them. Yes, opening a cork is fun. I get it. There is a real alternative to traditional cork. Domaine Ponsot is using a very interesting solution. They use Ardea seal. It looks like a cork. It opens like cork. It pops like a cork. There is a thin sheet of PVDC under a screwcap that seals the liquid inside the bottles from getting out. There is a medical grade shield on Ardea seal that comes in contact with the wine. The Ardea one is better than a thin sheet of PVDC found under screwcap. Ardea is also more durable to due it is actually injected into the bottle opening. I can’t really damage it without damaging the bottle itself. Screwcap on the other hand, does not take beatings very well. It can be dented and damaged. Once it’s damaged, the seal may no longer form a perfect seal. Cork has its day. Screwcap is a great alternative. Synthetic cork – Ardea seal is the future. Reading Rudy Kurniawan’s story is scary. I have to wonder everywhere I go, whether the bottle I’m going to buy is a real one or not. From what I can see, other than the wine inside the bottle, it does not take a massive effort to replicate every single detail of the bottle and the labels. There are cases of fake wines everywhere, from France, Italy, England, to China. According to many articles found on Google search, fake wines are not only notoriously found at auctions, but at restaurants as well. Even affordable wines are getting faked. Now, I only buy from official distributors. I don’t buy wines from second hand market. There is nothing green about consuming bottles after bottles of wines. From my personal experience, making glass bottles cannot be made green at all. The heat, the materials used, and the trash. First of all, I do not drink that much wine. I only drink wine on special occassions and when I feel like I want to drink one. I do not hold special preference to fancy bottles. I don’t mind getting generic bottles because what matters the most is the wine. If I have to trash my bottles, I will make sure that they will get recycled. So far, I have not thrown one away. Wine bottles can be repurposed. Now, let’s veer away a little bit to the wineries. I’m a big proponent of organic farming. Bio-dynamic farming is even better. I can’t think of a better time of getting wines than today. Grape farming has gotten a lot better these days than what it used to be. I’m completely baffled when people say a 1945 wine (in this case DRC – Romanee Conti and other famous wines) is a great wine. There were wars during the time and after the wars were over, people were scrambling for foods. I’d imagine making wine was not even a priority at the time. Famine was a huge problem. The terroir was probably in much worse shape back then. I don’t think it took a short amount of time to recondition the land to even worth growing basic vegetables, let alone grapes. After the war, there was the chemical industry revolution. This was the time when pesticides and synthetic fertilizers were heavily used. The lost: biodiversity, water pollution, and soil contamination. Decades of use of these chemicals destroyed pretty much everything we need in order to make good wines. This is one of the main reasons I do not buy old wines. Many younger wine aficionados, they don’t fancy Bordeaux wines as much as the older counterparts. Bordeaux is famous for chemical-farming. The soils are not that special. They don’t really care about moving to organic / biodynamic farming. The trend of making big wines from overripe grapes. The two major events above is the main reason why I think new world wineries can be better than old world wineries. Most often than not, new world wines are better. New world wineries can be built on virgin soils. Australia is a good example where most farms champion organic farming. Since they are relatively a young country, the lands aren’t exposed to decades of chemical sprayings. Many have even started on virgin lands that had never been used for anything before. Biodynamic farming involves every single living thing in a winery. Reusing everything, including re-purposing waste. The use of the land is not limited to vines, other plants can be planted and often times, they are produce and plants that can be used fertilize the soil. Horses, donkeys, even chickens can be found in wineries that practice biodynamic viticulture. It’s really a beautiful sight. Wineries are now more open to the idea of going organic and bio-dynamic. Many have done it and many are trying to. I hope the results make the wines even better and it should. Most importantly, it’s good for mother nature.